Having finished ten points ahead of runners-up VfL Wolfsburg in 2014/15, it is perhaps unsurprising that Pep Guardiola’s side set the Bundesliga pace 12 games into the new campaign. The manner in which the record titleholders have continued to add to their collection of milestones and best-marks, though, has been nothing short of astonishing. Since chalking up the biggest opening-day victory in Bundesliga history against Hamburger SV in August, the Bavarians have gone on to become the first German top-flight team ever to win their opening nine games, record their 1000th Bundesliga victory (against 1. FC Köln on Matchday 12), and topple several other records along the way. No other Bundesliga team has collected 34 points from a possible 36 at the beginning of a season.The record champions have scored the most and conceded the fewest goals in the Bundesliga in 2015/16.Bayern have created more clear-cut chances (38) than any other side, while also conceding the fewest in the league (four).On average, Guardiola’s charges have enjoyed 68 per cent possession this season, far more than any other top flight club. Click here for bundesliga.com's site devoted to Robert Lewandowski. "He could have scored seven tonight. We have to be critical of that and remind him of the chances he missed. It's unacceptable!" Philipp Lahm after Lewandowski's record-breaking five-goal haul against Wolfsburg. Click here for bundesliga.com's site devoted to Douglas Costa. 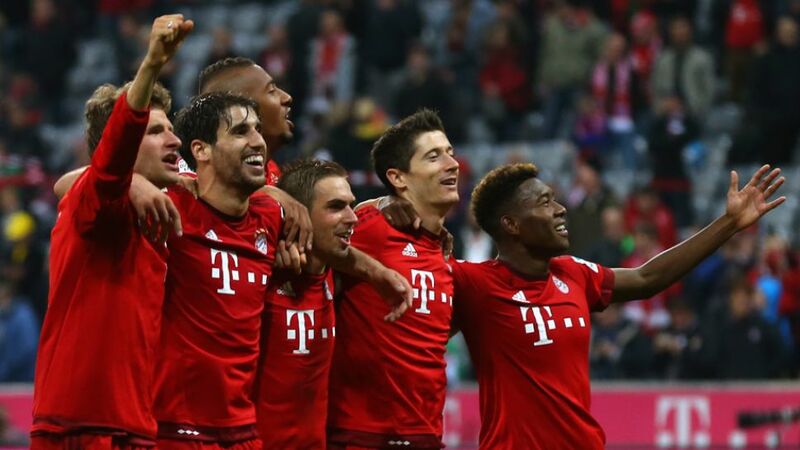 Click here to find out how the Bundesliga's other 17 clubs have fared so far this season.